Many anglers seek warm weather angling destinations when they find themselves struggling to find fish during these colder seasons. And fishing the Florida Keys maybe the answer to that interruption for many of these anglers. That hundred mile string of islands has always been a huge draw because of the mild winter climates and abundance of species. Regardless whether its structure, shallow water, or reef fishing, the experiences in the Florida Keys is one for the memory books. Structure fishing has become very popular in the keys even for the typical novice angler. And with over forty bridges and well over hundred miles of shorelines, there is no shortage of places for either the casual or passionate angler to try their luck or secure an enough for a meal. The standard skill sets used elsewhere for successful fishing should continue to apply here regardless of type of fishing. These will always include: know when to fish, where to fish, how to fish, what to use, how fish respond under certain conditions. But the most important and an angler’s best friend is know the tides and structure. Gear and equipment are also crucial to a successful outing. Most local “keys” species are toothy and are considered predator. Any gear weakness will be exposed. Use only the top of the line gear – this is not the place for the angler to skimp. 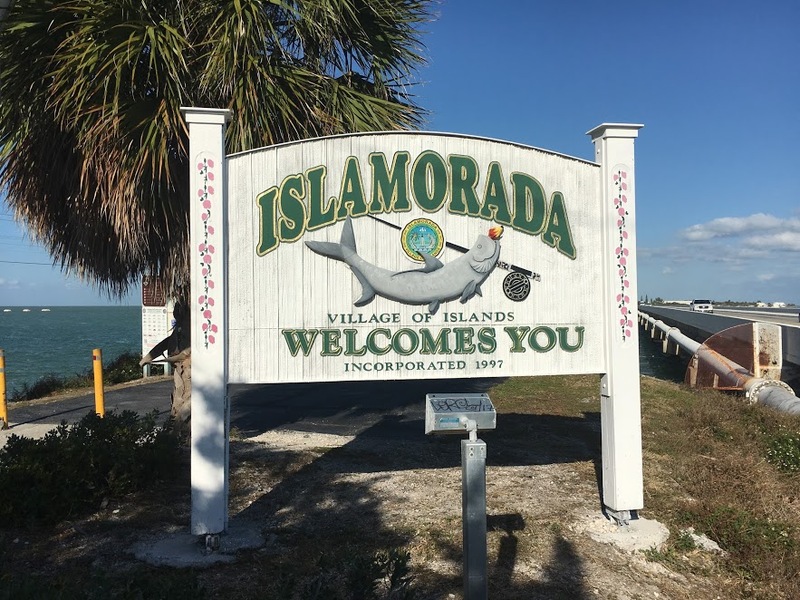 Fishing a Florida Keys bridge is a unique experience. Conditions can change frequently under these structures. It can take weeks or longer to master these channels and the water flows. Trial and error, exchanging ideas with other anglers on the bridges and tackle shops, and even sacrificing a few rigs jig just to locate a couple of bottom snags is worth the cost most anglers pay for this indoctrination. 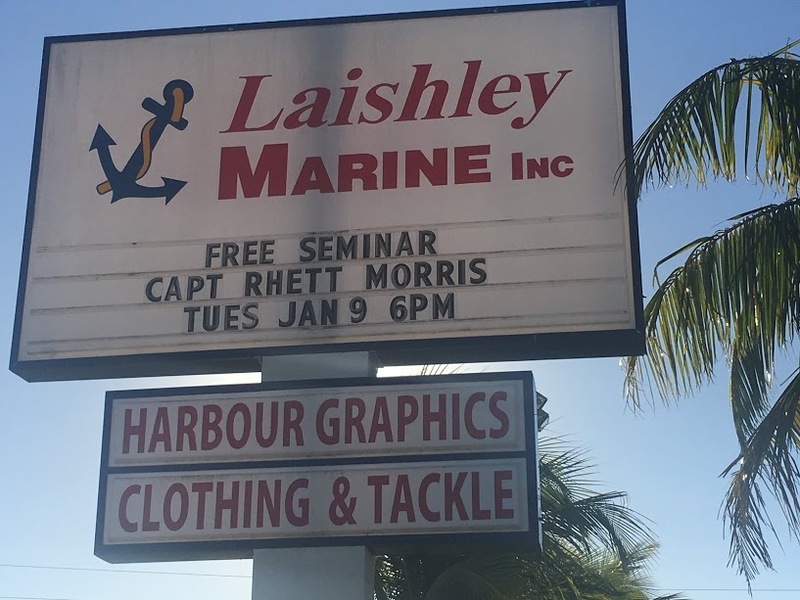 But many times, it’s that five pound sheepshead or mangrove snapper or even that eighteen Spanish mackerel that make spending the afternoon experimenting and learning all worthwhile. Look in future entries on various gear and equipment techniques that have made my many bridge fishing trips successful. This proclamation supersedes proclamations FF-18-2017 and FF-19-2017, dated May 5, 2017. It closes the commercial and recreational spotted seatrout fishery due to cold stun events, in accordance with the management strategy outlined in the N.C. Spotted Seatrout Fishery Management Plan. The spotted seatrout fishery will open June 15, 2018 by proclamation. It is unlawful to possess, transport, buy, sell or offer for sale spotted seatrout taken from coastal and joint fishing waters of North Carolina except dealers will have until Friday, January 12, 2018 to dispose of unfrozen spotted seatrout in their possession taken prior to the closure. This proclamation is issued under the authority of N.C.G. S. 113-170.4; 113-170.5; 113-182; 113-221.1; 143B-289.52 and N.C. Marine Fisheries Commission Rules 15A NCAC 03H .0103, 03M .0512 and 03M .0522. It is unlawful to violate the provisions of any proclamation issued by the Fisheries Director under his delegated authority pursuant to N.C. Marine Fisheries Commission Rule 15A NCAC 03H .0103. This action was taken to control fishing effort following a severe cold stun event under the approved management strategy in the N.C. 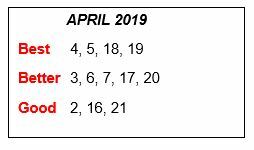 Spotted Sea D. It is the intent of the Fisheries Director to open the spotted seatrout season for commercial and recreational fishing by proclamation on June 15, 2018 after surviving fish have had the opportunity to spawn. In accordance with N.C. General Statute 113-221.1(c) all persons who may be affected by proclamations issued by the Fisheries Director are under a duty to keep themselves informed of current proclamations. This proclamation supersedes proclamations FF-18-2017 and FF-19-2017, dated May 5, 2017. Management Plan. The spotted seatrout fishery will open June 15, 2018 by proclamation. DIVISION OF MARINE FISHERIES trout Fishery Management Plan. “We first make our habits, and then our habits make us – John Dryden”. This statement applies as much to fishing as well as it does in different segments of our lives. Catching speckled sea trout with your favorite lure is a prime example. My favorite lure was always the double bucktail. It gave me confidence during each outing. But after a year or so the lure just didn’t produce hits or catches like I wanted. Was it me or the lure or species? As any confident then frustrated angler, I considered changing to a different bait or possibly a new technique. My first change the following year was to the “flavor of the month”. That time I tried MirrOlure’s – MR 17 “Electric Chicken”. Using the “Electric Chicken” hard bait helped me catch trout that year. But again and after time, it seems to fail to attract and hook fish. 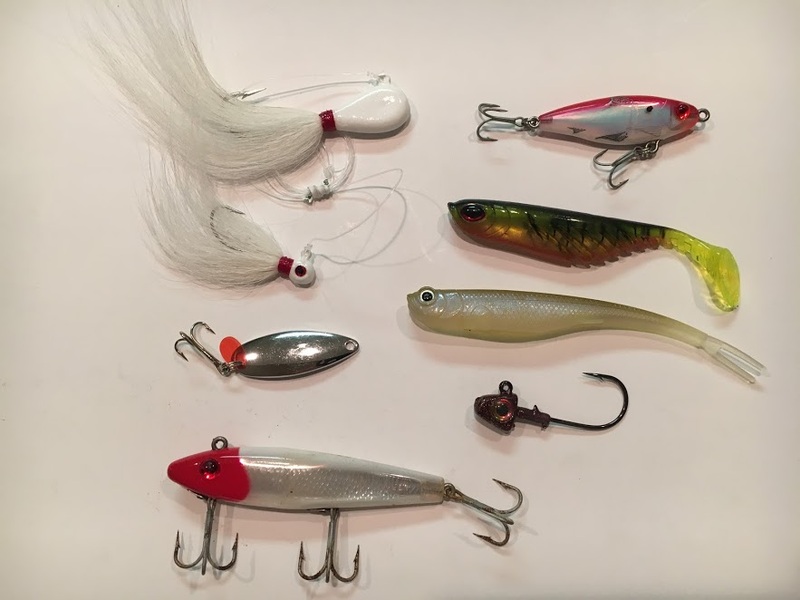 And over the next several years, I changed to metal spoons, top water hard baits, jigheads with swim and finesse baits, popping corks and a variety of other new styles and types. And as usual, they all did well for a while and then stopped or declined to a point that I needed to change. My research showed that after a long period of time, many species begin to recognize some type of danger when seeing the same or similar style rigging on a regular basis. Fish are known to communicate and whether they warn each other of impending danger or not, they definitely change habits or preferences to various baits to survive and avoid being caught. So what is the angler to do? Change, modify and specialize. My change is using each of these rigs in specific situations. I always keep each of these rigs in my bag. Never discounting their past performance. Varying my retrieval rates and movements. Modify my plastic rigging. Sometimes I cut a small slice from the tail to enhance vibration and movement. Other times, modify hook size on hard baits or shortening the length of fluorocarbon leader. Specialize in specific conditions – dark colors for overcast or low light days. Light colors for bright days. Using specialize techniques also gives the angler an advantage. To be a great angler, keep each of these lures in your tackle bag for maximum success. Many fish species change habits to survive. And to be successful on a regular basis, anglers need to change too. 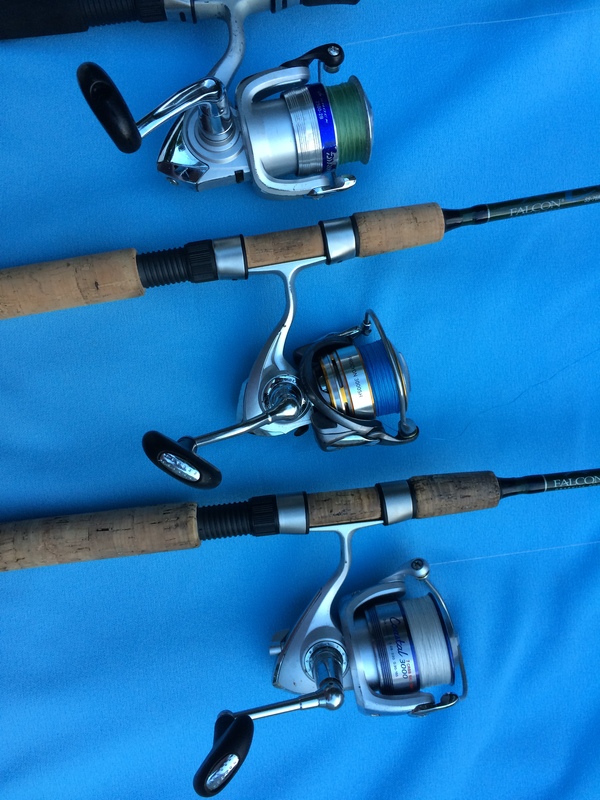 Most anglers will look at these three reels and think why is the captain showing me these three in one picture? Although, they appear the same, there is one distinct difference that could affect their catch rate. The difference is the retrieval rate. The top reel has a 40” ratio; the middle reel has a 36” ratio; and the bottom one has 28” ratio. The difference between the top and bottom reel is significant especially if the targeted species only chases the bait a short distance. We have talked many times about the various species on the Outer Banks waters. All fish species move for a purpose. They move to find comfort, food, spawn and escape a predator. They know how to preserve energy to remain alive. When feeding they will typically only chase a bait fish so far depending on the amount of energy available. When that level of stamina is exhausted or they perceive the chase will not be productive, their effort will end. Going back the reels, each reel in this picture has a different retrieval rate. The retrieval rate is the amount of line taken up on each turn of the handle. Turn the handle or retrieve the line too fast the fish will run out of energy before it catches the bait, Retrieve too slow and your bait may spook them. So it’s the retrieval rate that can help make that catch successful. How do you know how fast your retrieval is? Well, measure it. Layout a tape measure on the ground, extend the end of the line on one end of the tape and turn the handle one complete turn. Then measure the distance. Once it is determined the rate of retrieval per handle revolution, the angler can adjust their action to avoid pulling it away. This is especially helpful for novice anglers. Sometimes the excitement of the strike causes the line to be taken up too quickly. As simple as this may seem, every technique available may help increase the opportunity to catch more fish. 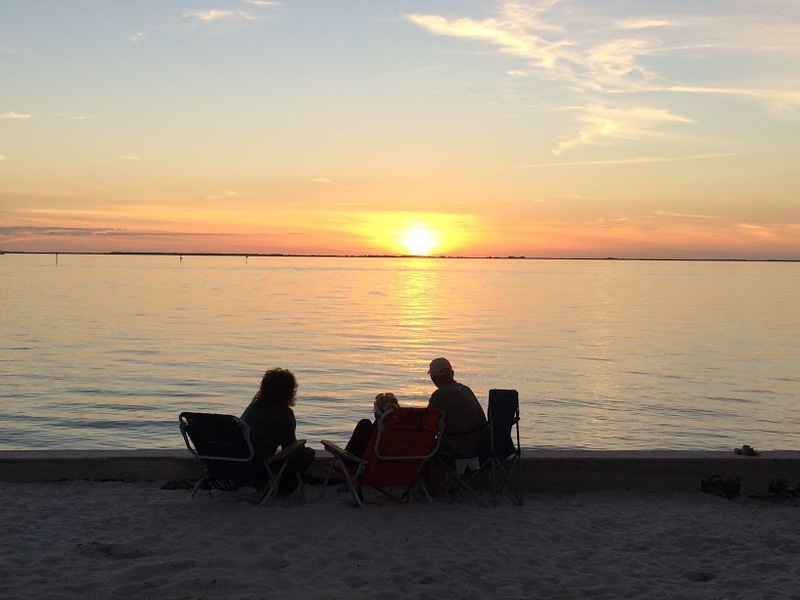 I once over heard a good friend in Florida giving advice to some novice anglers. It’s probably the best advice I could pass on to my fellow anglers here on the Outer Banks and elsewhere. 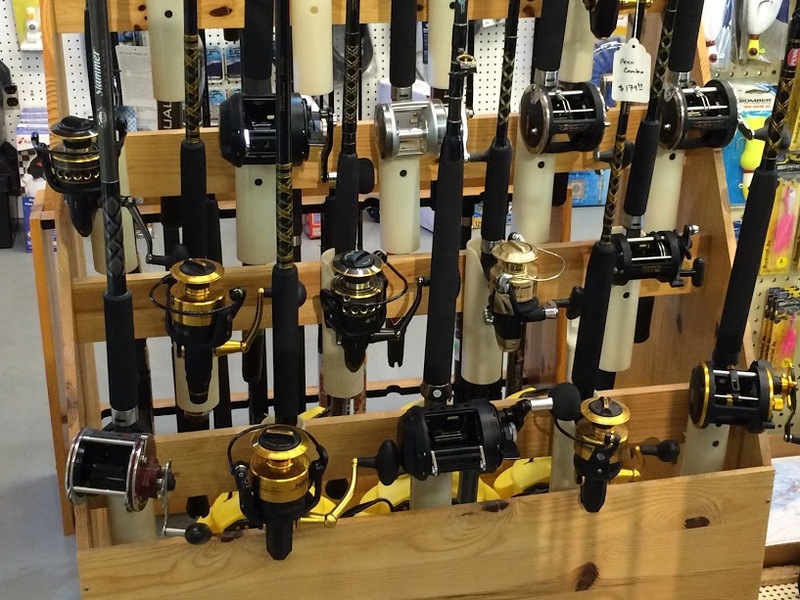 When it comes to fishing gear, “Buy it right the first time and you only buy it once”. 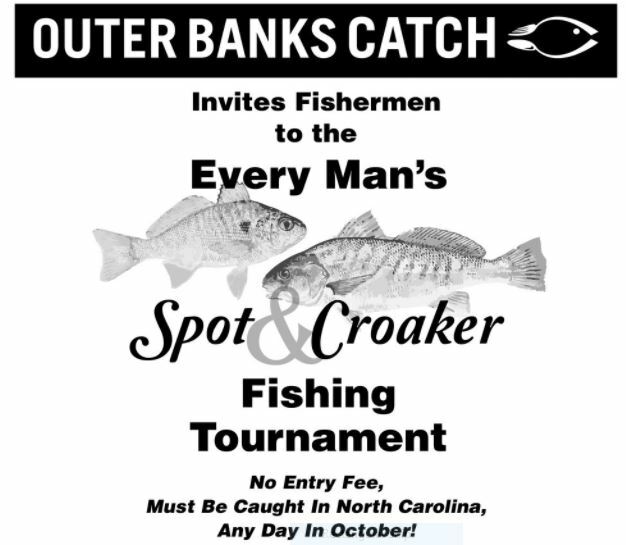 The Outer Banks Anglers Club will be holding their next monthly meeting at 7:00 pm on October 30, 2017. The meeting will be held at the Kerns P. Pitts Center / Southern Shores Town Hall Complex located at 5375 N. Virginia Dare Trail, Southern Shores, N.C.